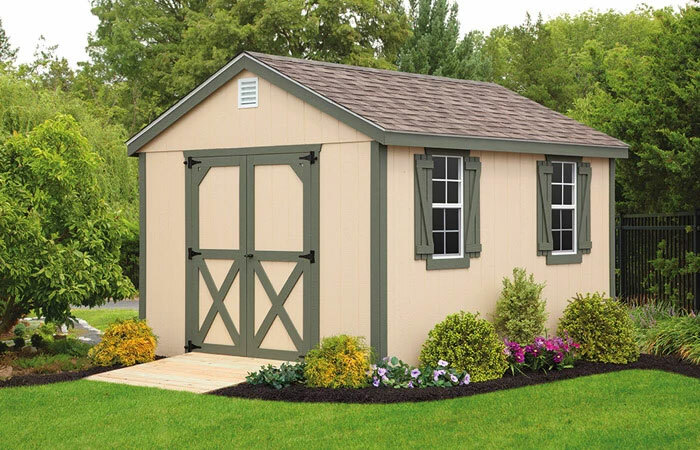 Add a touch of class and beauty to your home with our Amish-built A-Frame Series sheds. 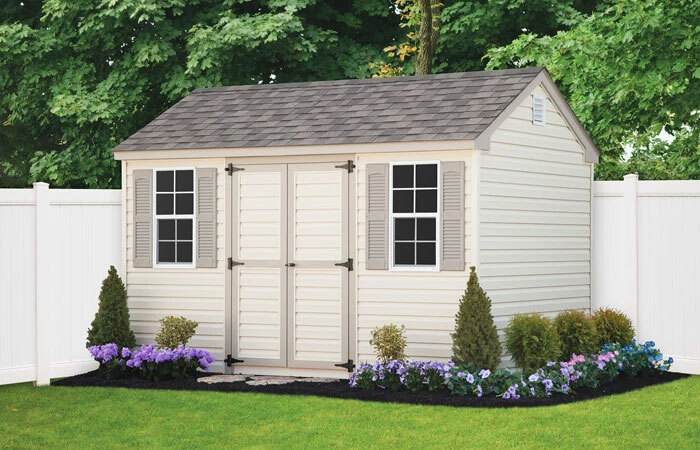 These classic-yet-versatile structures can add both function and style to any Maryland and New Jersey backyard. 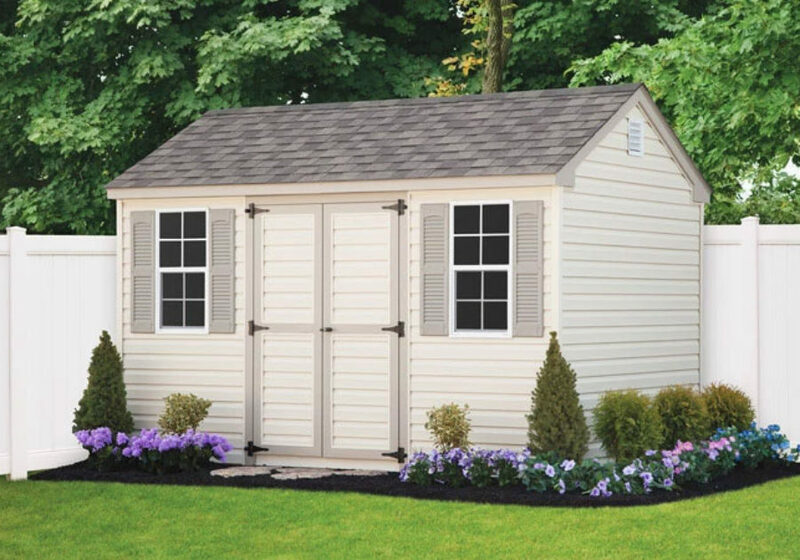 Solidly built and highly customizable, these popular storage sheds are available with an assortment of colors with accessories and features that include flower boxes, decorative shutters, and doors in varying sizes and designs. While many homeowners use A-Frame sheds for storage, they can be conveniently transformed into workshops or personal relaxation spots. 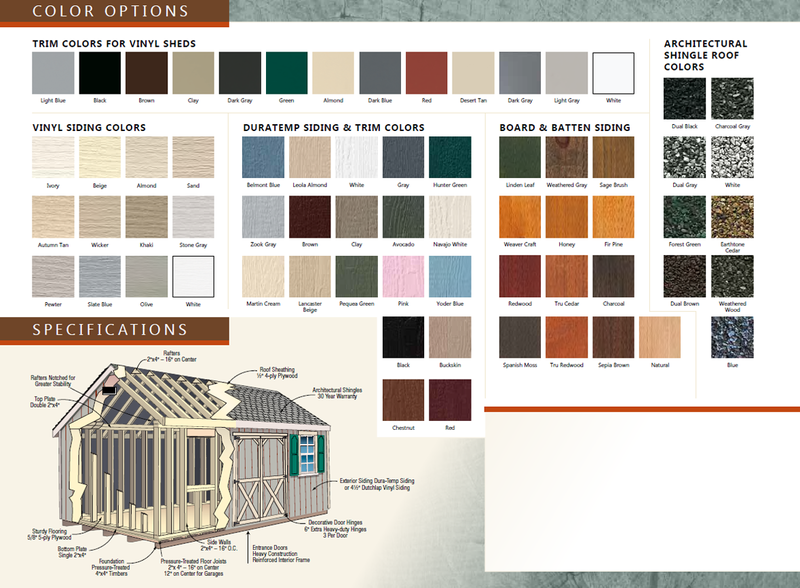 Simply choose your preferred siding, trim, and accessories. Get organized in style with our Regular A-Frame Series. 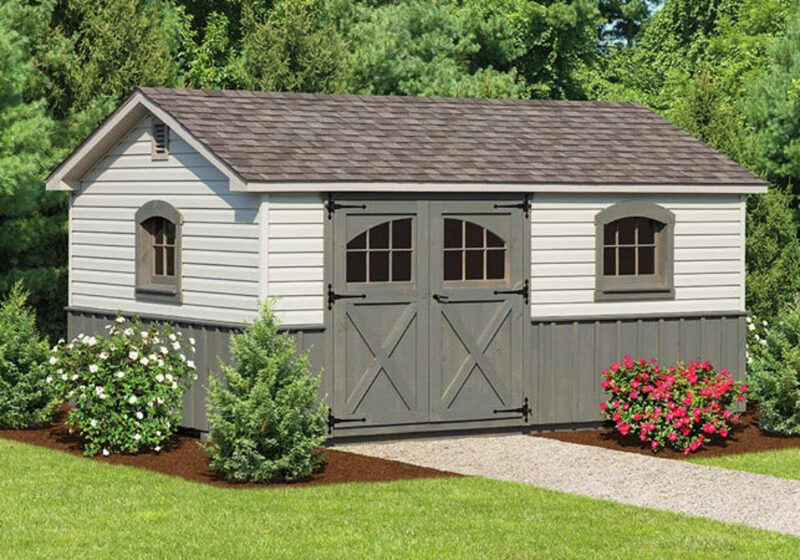 Whether you prefer classic vents and barn-style sashes or a black roof complemented by white trim, you’re sure to find something that’s just right for your outdoor space from this collection. 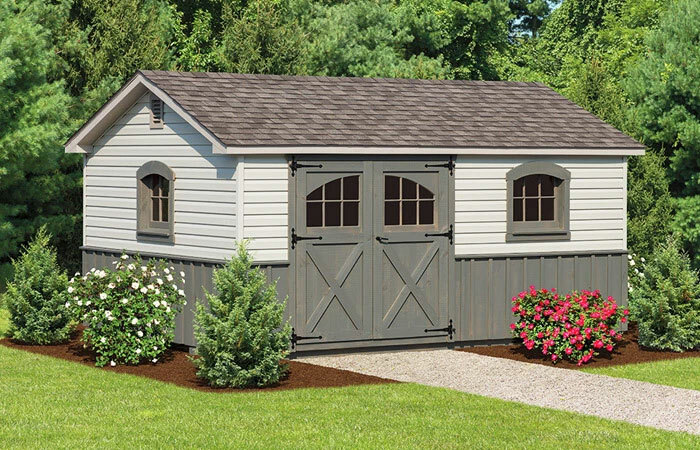 With roof styles, you can opt for weathered gray or wood if you want a more rustic look. 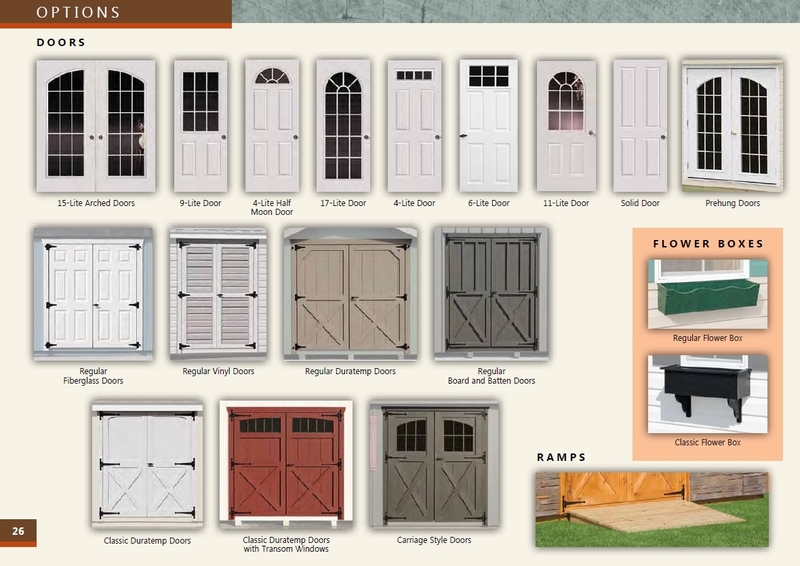 You’ll have just as much flexibility with vinyl siding colors and window and door designs. 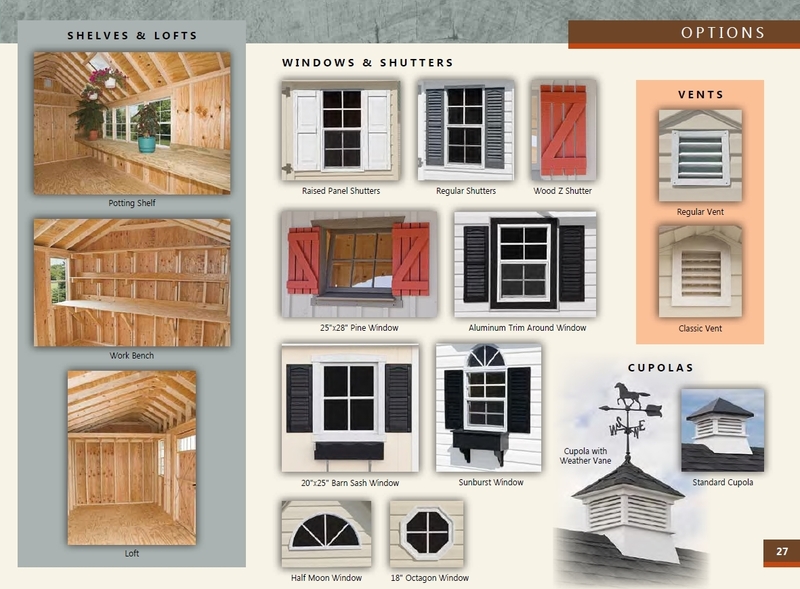 Further personalize your Amish-crafted shed with dormers, gable overhangs, customized interior shelving, and window trim. 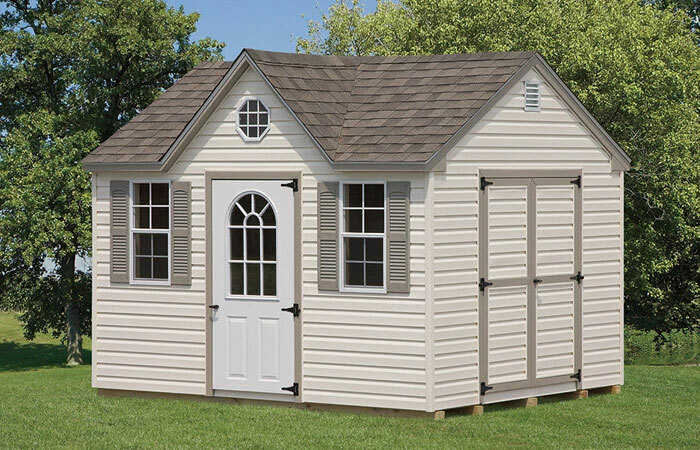 Our Regular Two-Story A-Frame sheds can meet your added storage needs in a way that’s in line with the dimensions and limitations of your property. 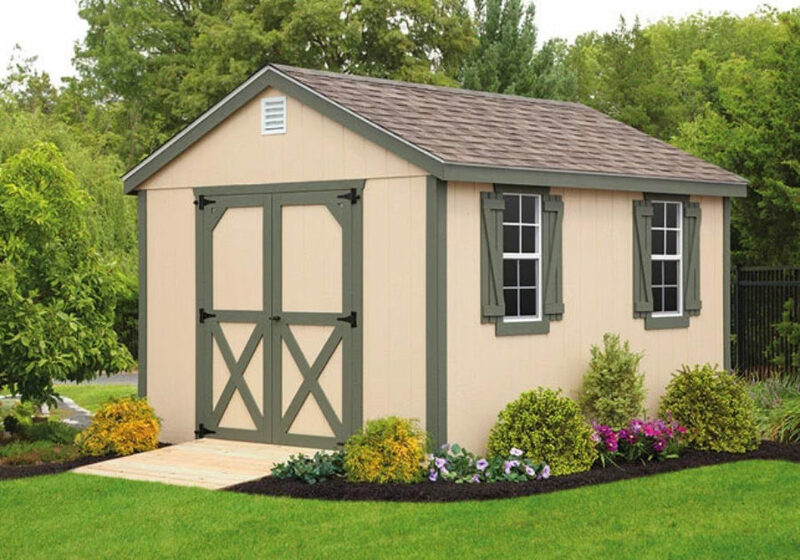 Offering the classic appeal of single-story A-frame sheds, our two-story models come in variety of sizes and colors. Designed to withstand year-round weather conditions, these structures have either a pull-down ladder or stairs leading to the top story. The open first floor has a lot of potential. 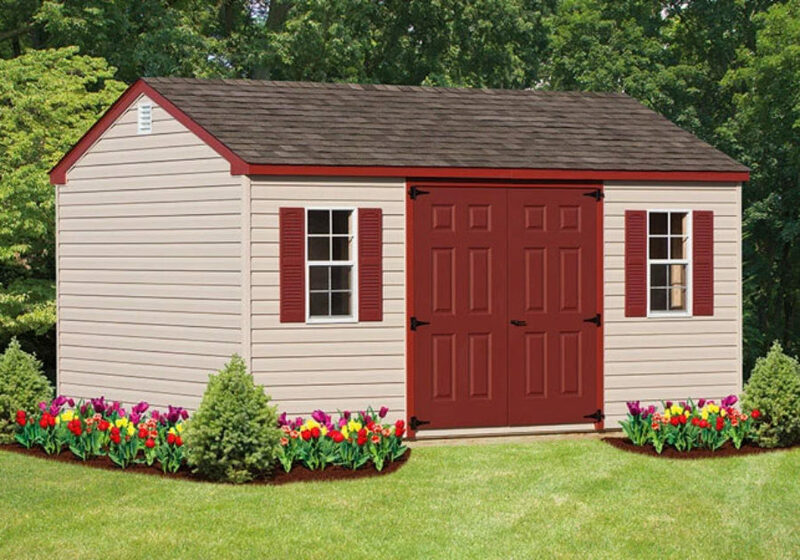 Imagine having your own backyard getaway! Or you might prefer to create a small workshop, or a studio or guest apartment! 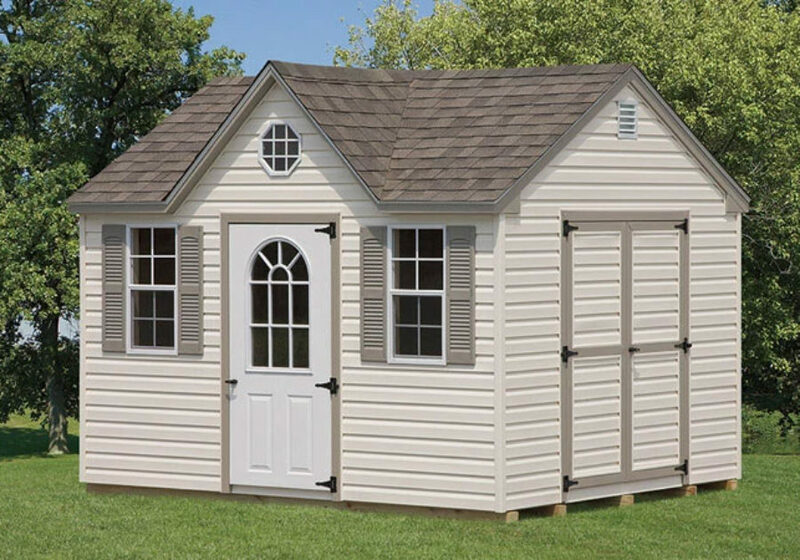 Our beautiful and exceptionally well-crafted Elite A-Frame sheds are designed with a higher roof pitch. 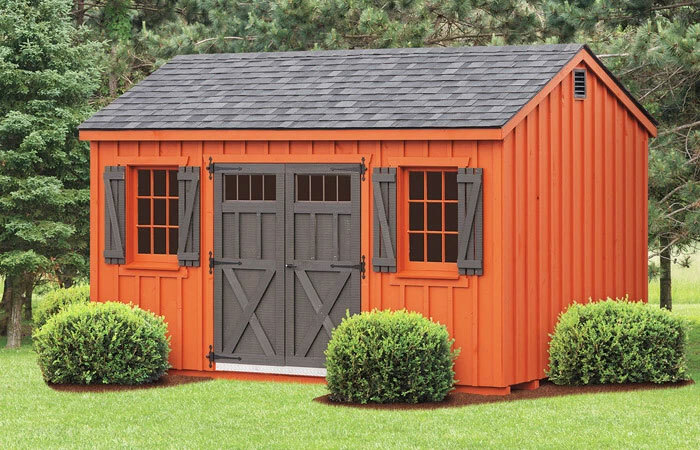 Available in many different colors and sizes, these Amish sheds can include dormers for added ventilation, optional second-story doors, dual doors on the first story, and windows with decorative trim or shutters. Some designs have an attic pull-down stairway for more storage space on the first floor. 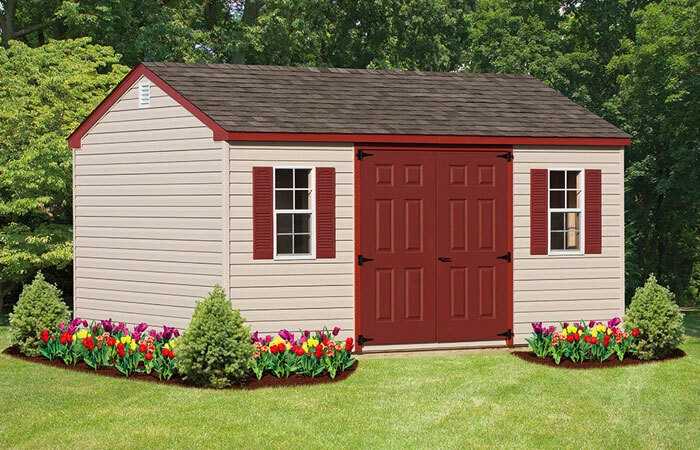 Elite double-doors on the first story provide added access.